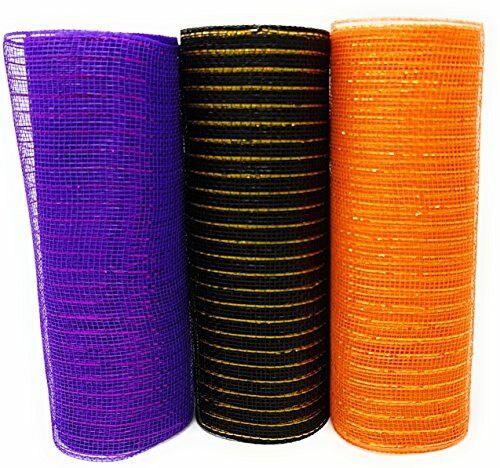 Three 10 yard (30 foot) rolls of 10 inch wide decorative mesh for a variety of craft projects. 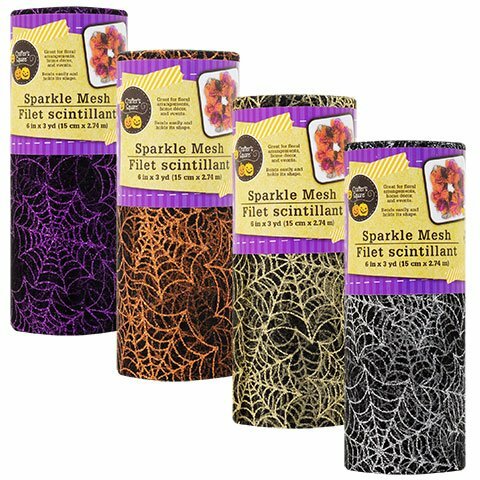 These spooky and fun Halloween shades of purple, black and orange would make the perfect Halloween mesh wreath. Get creative with these Halloween themed ribbons and make attractive embellishments for your holiday home decor. You can also use it to embellish your costume, tablecloths, tote bags, scrapbooks, accessories and so much more. 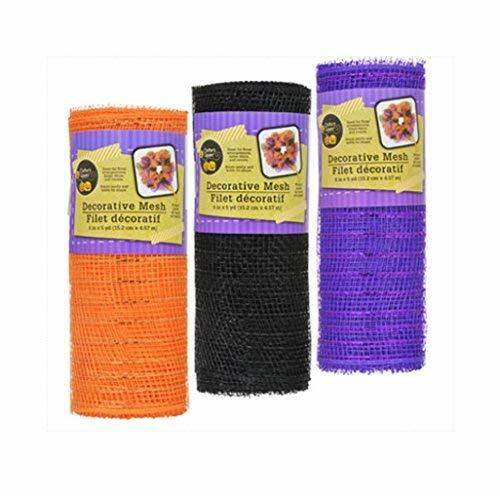 3 Rolls of Halloween Decorative Mesh in Orange Black Purple for making wreaths, floral arrangements, centerpieces and halloween decorations. 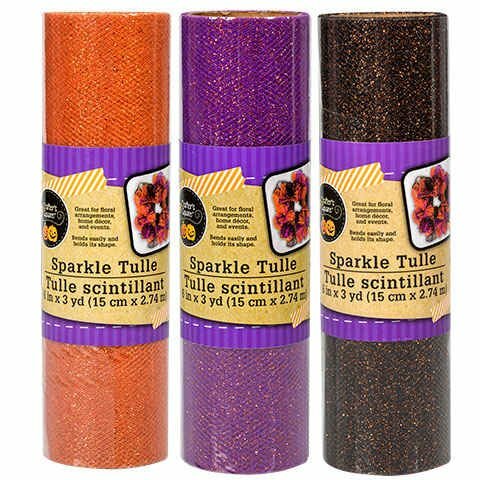 Includes one roll of orange, purple, and black glitter mesh measuring 6 inches wide by 3 yards long. Use it to make wreathes, centerpieces, photo displays, and so much more. Includes 1 roll of each color: Purple, orange, silver, and gold. Each roll measures 6 inches wide by 3 yards long. 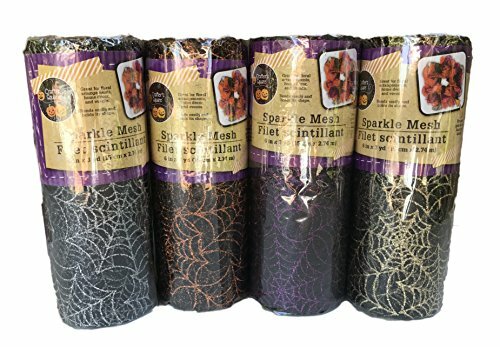 Perfect for Halloween wreaths and other decorations! 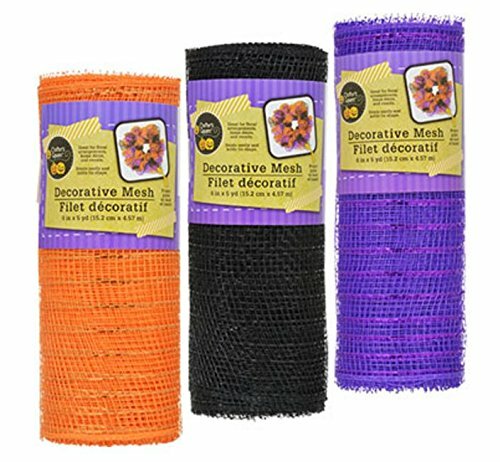 This set of 3 rolls of decorative mesh is great for tying bows on chair backs for a festive event, or loop and pin on a foam wreath one or more colors together to create a colorful project! Each roll measures 6 in. x 5 yds. 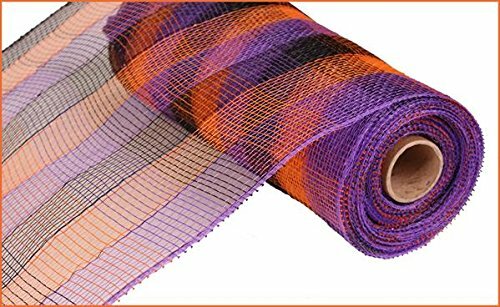 This 20 inches wide by 10 yard long roll of designer netting is glamor to the max! this item is great for decorating a room for the holiday's or even for use in gift wrapping.